This DIY bottle opener and cap catcher can be a conversation piece in your kitchen. 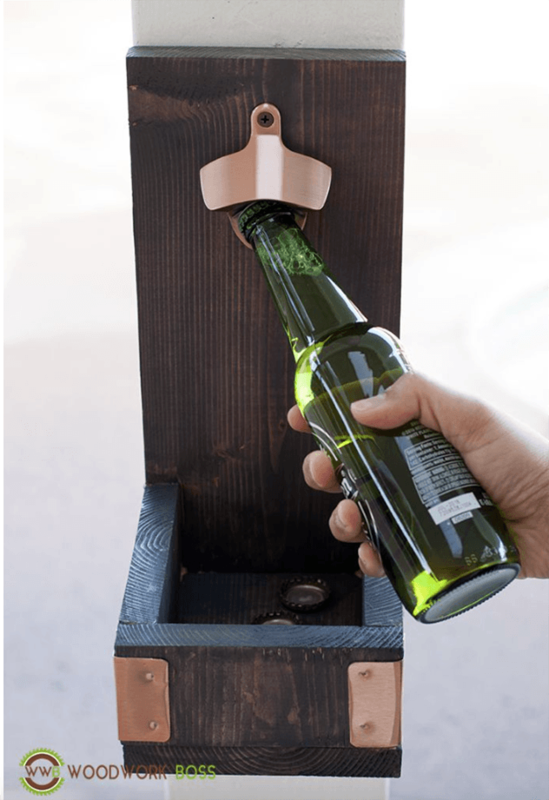 A wooden bottle opener and cap catcher comes in handy when entertaining friends and family. It also makes for a nice wall decoration in any kitchen. 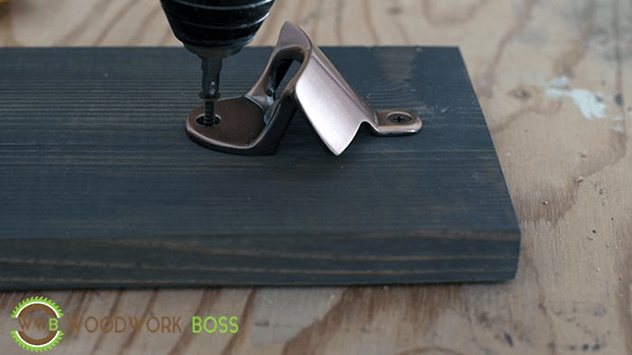 You don’t have to be a woodworking expert to make your own bottle opener. Do-it-yourself projects like this one are easier than many people realize. Note: It is up to you which type of saw to use, but the miter may be the most efficient for the job. 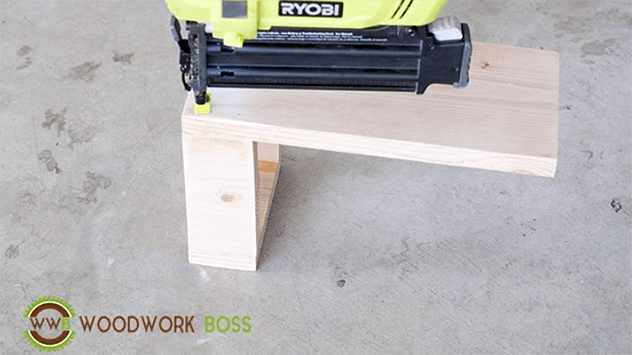 If you already have a table saw it can easily be used for this purpose. We’re using a Ryobi ONE+ lithium-ion drill. Ryobi is Today’s Homeowner’s preferred line of power tools. You may also choose to use copper trim, but this is an aesthetic choice. You will need cuts of wood that measure 1″ x 6″ x 8.” This will serve as the bottle opener’s cap catcher. 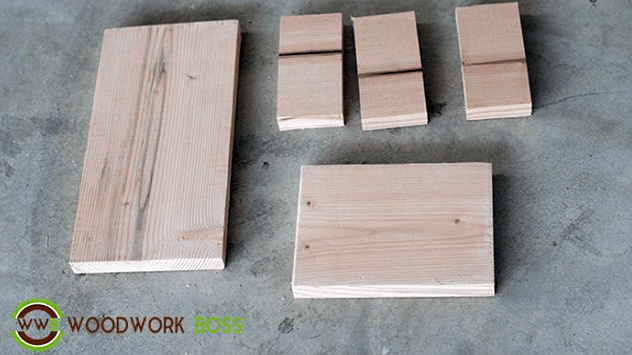 For the sides and front, you will need three 1″ x 6″ x 2.5″ pieces of wood. The back panel will require a 1″ x 6″ x 12″ piece of wood. Every cut that you need for this project begins with 1″ x 6″ to make it easier. Get your cuts of wood ready! The first step is to make every cut necessary to complete the project. Once you have done so, attach the sides of the project to the front piece of wood. Use a flat surface. 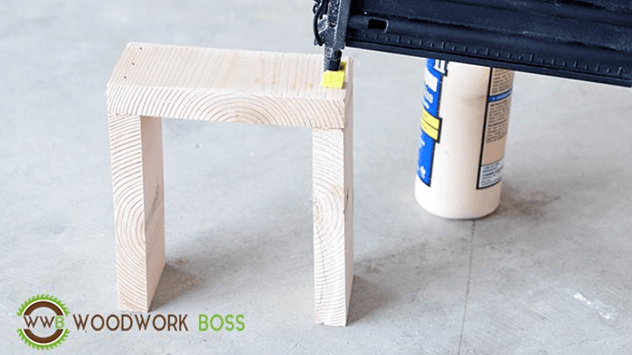 Use Titebond wood glue to join the wood pieces, and then nail them together. Glue and then nail the pieces of wood together. 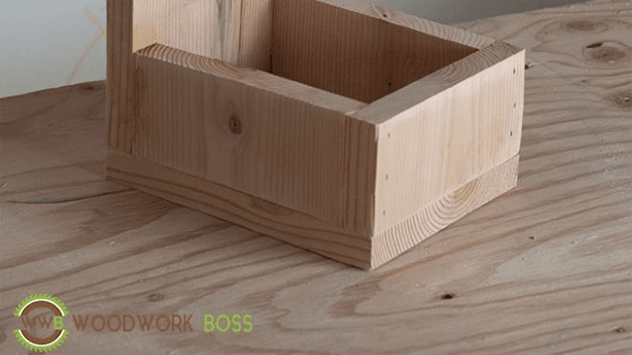 Take the back piece of wood and connect it with the sides of the project. Apply your wood glue (we prefer Titebond) and hammer in four nails, with two going on each side. What comes next? More nails! Attach the bottom of the bottle opener and cap catcher with the same method you used to attach the back to the sides. Each side of your opener should have three nails hammered into it. Your wood creation is taking shape, but it sure could use some paint! 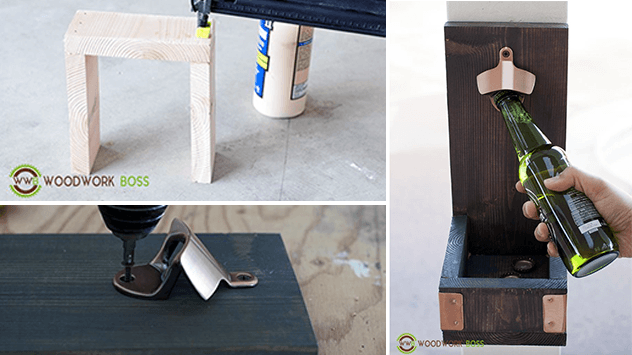 Once you have built the bottle opener’s wood housing, you will want to paint it. Paint or wood stain can be used, depending on your preference. After completing this step, leave it alone until it has completely dried. This stained wood creation looks nice, but it needs a bottle opener! Now comes the attachment of the bottle opener to the wood. Find the center of the backboard and use a pencil to mark it with a line. Center the bottle opener and then screw it in firmly. Optional: Add copper trim to make the piece really stand out! Wow — look what you made! You now have a usable wooden bottle opener. This can be a great gift for family, friends or neighbors. Putting your own spin on it will make it an even more appreciated gift when you give it to someone you love.